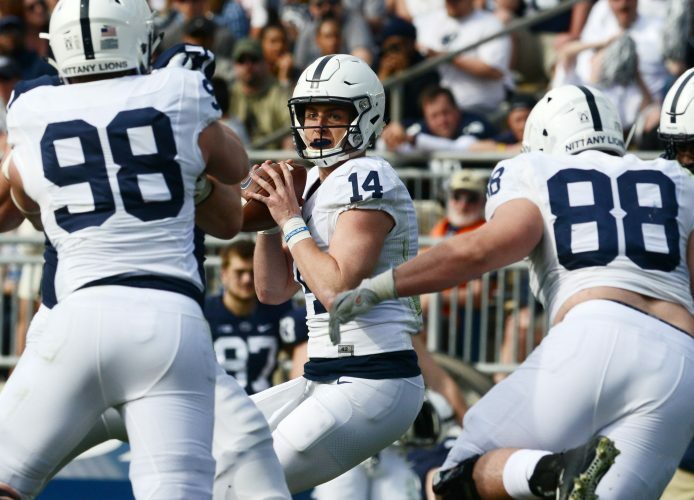 So many young athletes feel the need to specialize in one sport, thinking it will improve their chances for success, but Penn State coach James Franklin prefers the opposite approach with football players. “I want a kid that has played as many sports as he possibly can – football, basketball, track – is competing year-round in sports,” Franklin said. The competition aspect from other sports, as opposed to just training for much of the year, is a big key for Franklin. Another key is the players’ true potential. The issue came up during Big Ten media days when Franklin was asked about the differences between football in the North compared to the South. He has experienced both in his coaching career, and the differences to him are clear. That led to a question of whether teams in the North should have spring football, which is common in the South. But having spring football means some players might not be able to participate in other sports, such as the end of the basketball season plus baseball or track. Franklin said he understands why young athletes specialize, especially if they feel they aren’t quite as good as others in a certain sport and are trying to gain every advantage. He started specializing in football in 11th grade. But Franklin also brought up some interesting points about parents of athletes who push their kids to specialize at very early ages. “I think it’s a little ridiculous that there’s this – I don’t know how I would describe it – but there’s this major concern out there of, ‘I’m going to do everything in my power to get my son or daughter a scholarship,'” Franklin said.